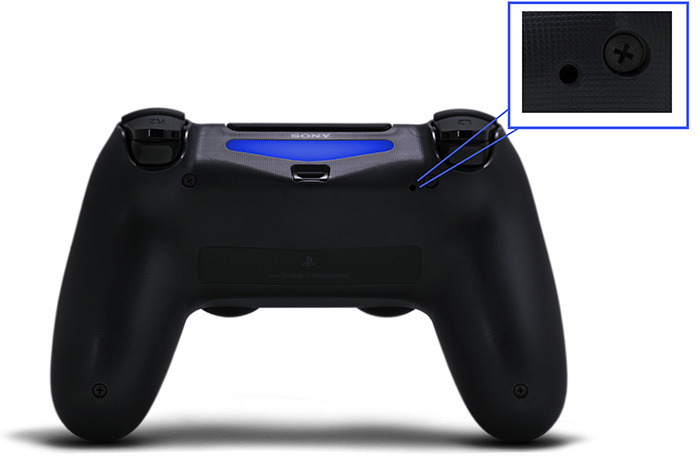 So I was changing the trigger springs in my controller this evening and I noticed a small hole in the back of the controller, which I can only assume to be a reset perhaps? What is this hole actually for? You're correct, according to Sony's documentation, it is the reset button. Use a small, unfolded paper-clip or something similar to push the button (the button is inside a tiny hole). Hold the button down for a couple of seconds and release. After resetting the controller, re-pair the controller with the PS4 by connecting the USB cable to the controller and the system, and turn the PS4 on. Not the answer you're looking for? Browse other questions tagged controllers ps4 or ask your own question. PS4 Controller not connecting to PS4 and won't reset? 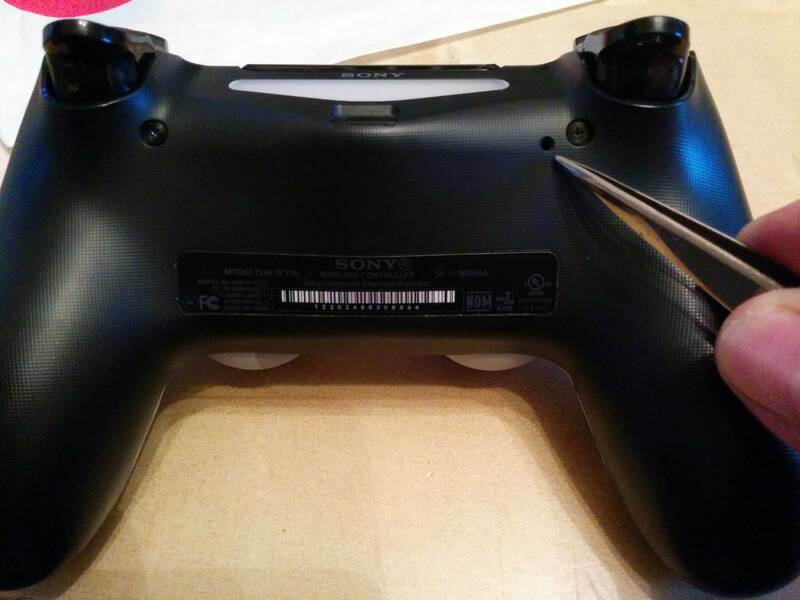 Why won't my ps4 controller connect to my ps4? What is a typical response time for a wired controller?